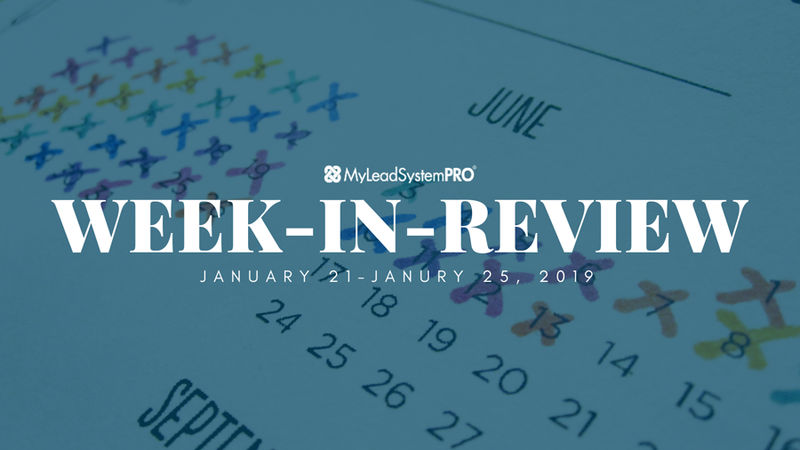 It was another value-filled week inside the MLSP community. The daily Wake Up Calls were overflowing with world-class content from those marketers that have reached the levels of success you’re on YOUR journey toward. This is FREE life-changing daily coaching that would cost thousands if you were to hire all 5 of these top earners and leaders in our profession. If you missed any of it, or you want to see what’s available to you every weekday morning at MLSP, we’ve laid it all out for you in one convenient place below! On August 28th, 1963 Martin Luther King Jr. gave his “I Have a Dream” Speech. This past Monday the U.S. celebrated Martin Luther King Day. In honor of that speech, L5 leader Ryan Cody McMorris presented a Wake Up Call to speak to YOUR dreams. Your dreams matter to Ryan, and he wants to see you fulfill them. But there are some requirements to dreaming that must be met for them to be achieved. Ryan went over just that in his inspiring WUC from Monday! An important question that you MUST ask yourself today so you can start living YOUR dream! 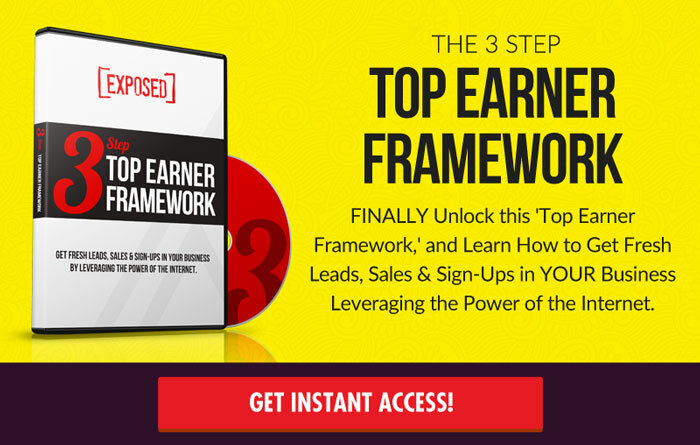 3 ways you can dream bigger and create insane profit in your life and in your business! The truth to why Martin Luther King Jr. (out of all the other civil rights movement leaders) was so impactful! The #1 must-have element if you want YOUR dreams to actually come true! Ryan hopped straight over to the MLSP Facebook Page to go LIVE for the community, with his inspiring and insightful message of how you can let YOUR dream drive YOU and your business forward! Mark Harbert looks at success a little different than most people. In fact he looks at it as almost an absolute. Where failure is not an option! How did our resident video marketing expert get this attitude, and what benefits has it had for him? That’s exactly what he talked about on his Wake Up Call this past Tuesday. You’ll see why you are made to succeed and achieve your dreams, and how to go after it with a ‘failure is NOT an option’ mindset…even when the world throws obstacles your way. Why Mark KNOWS that the possibility for success is there for YOU! Mark never hesitates to give MORE to the amazing MLSP community. He proved exactly that once again when he went LIVE from the MLSP Facebook directly after his WUC! Nearly everything that dictates and predicts our success in the world is right there between our ears. However most of us are programming our mind to be a detriment to our success, rather than a tool. MLSP CEO & Co Founder Brian Fanale was no different. He was guilty of the same patterns. Until you realize the power of questions, you’ll very likely continue to struggle with your business and in your life! Brian revealed how to get out of that pattern on his MLSP Wake Up Call on Wednesday. This was powerful and everyone trying to see success in their business and life (you?) should listen! The critical thing that entrepreneurs focus on WAY too often that makes us feel stuck and broke! How your negative thoughts and feelings show up in all the things you’re doing. Why (while caring and empathetic) Brian isn’t interested in the excuses you’ve made for your potential! The 2 most powerful words in our vocabulary that you MUST be very careful about when you utter them! Our mighty leader has dedicated himself non-stop to this community for a decade. Wednesday was of course no exception when Brian went LIVE to continue this critical message that every entrepreneur must understand! MLSP L5 leader Ron Gelok has seen a trend with online marketers and the MLSP community, and wanted to address it to help YOU grow your business. Everyone knows you must get leads for your business. Of course with the MLSP attraction marketing formula, you can quickly knock that problem out of the park. However there’s another side to this business that MUST be there, and that’s making money. If you don’t make money you don’t have a business. Which means you must turn your leads into buyers. Ron used his experience and unique background and went over 3 ways to do exactly that on the MLSP Wake Up Call on Thursday. What you must understand about EVERY lead, and the FIRST STEP you should take today if you want more buyers! The truth about your leads that will save you tons of time and heartache! Ron loves the MLSP community, and gives back as much of himself and his knowledge that he possibly can. He went LIVE on the MLSP Facebook page Thursday to dig deeper into how YOU can start turning more leads into buyers starting immediately! Once again the great Martin Luther King Jr. was an inspiration for a call this week. Keysha Bass wants you to revive your dream. Even more importantly, she wants you to avoid letting the things that WILL try to kill your dreams to win the battle of your mind. This amazing lady built a six-figure business using attraction marketing and social media strategies! And if not for the mindset she’s developed overtime, this may never have happened. And the same goes for YOU! On the MLSP Wake Up Call Friday Keysha went to work helping YOU revive YOUR dream! How to defeat the self-defeating thoughts, fears, guilts, worries, etc. that will get in your way! What frequency are you on? (This critical question will allow you to actually LIVE your dream! If you’ve just listened to and watched the content above, you’ve gotten world-class coaching from some of the top earners and leaders in our profession. Now the next step is the most important: Implementation! If you just listen and watch, it’s great inspiring entertainment, but it will always remain just that. Your job is to start taking action immediately on what you’ve just seen and heard, and turn YOUR dreams into reality. What’s it look like when you do? Check Out the Success Stories from Just the Past Week inside MLSP and see exactly what that looks like and what’s possible for YOU! Click Here See the latest MLSP Success Stories HERE!